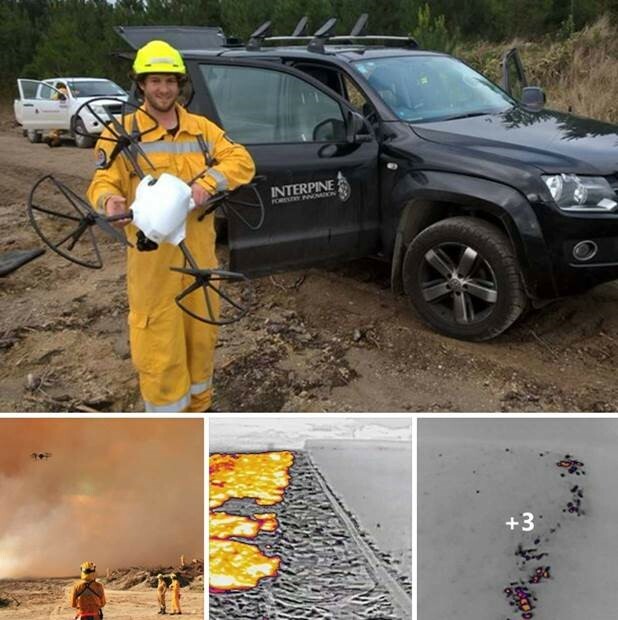 Interpine UAV team recently put into practice the use of our UAV’s (a.k.a RPAS or commonly as Drones) during a large controlled vegetation fire. 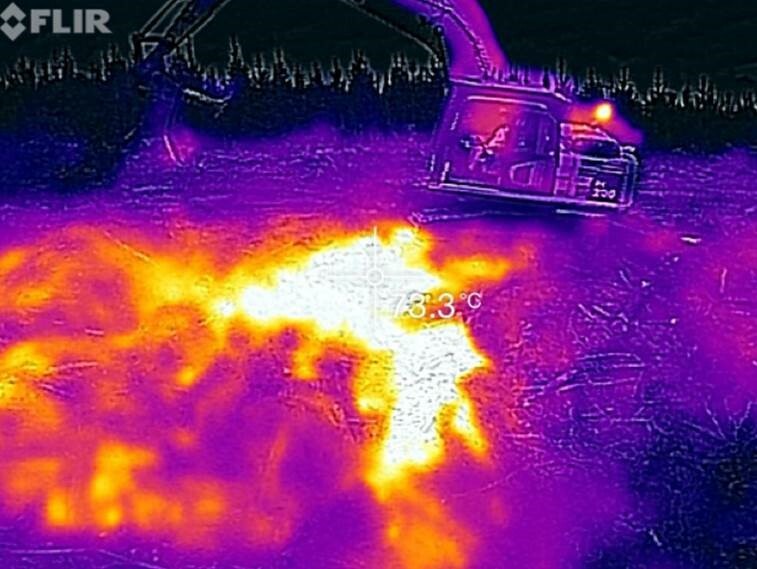 With one of our UAV’s now fitted with an integrated Thermal Camera Sensor, this is another example in the practical application of UAV’s for monitoring a controlled burn and use during post fire clean-up for hot spot detection. With all our UAV staff trained as rural firefighters, this is a natural fit. We worked in conjunction with the incident controller and air operations commander working together with other aircraft onsite. Acknowledgement to Timberlands for facilitating this implementation. 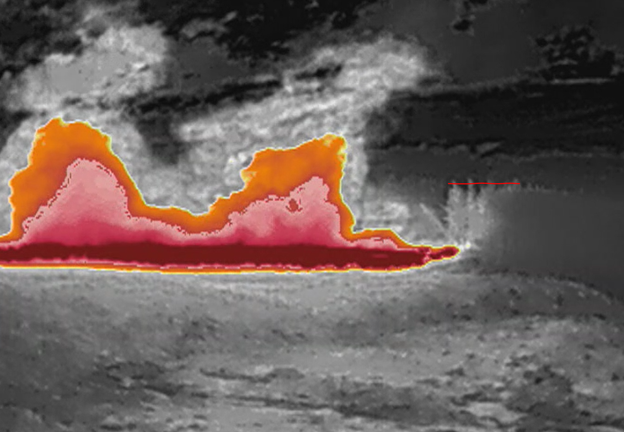 This is an example of the view that thermal infrared cameras provide through the smoke. Here the UAV team are showing the incident controller what is happening inside the smoke cloud. 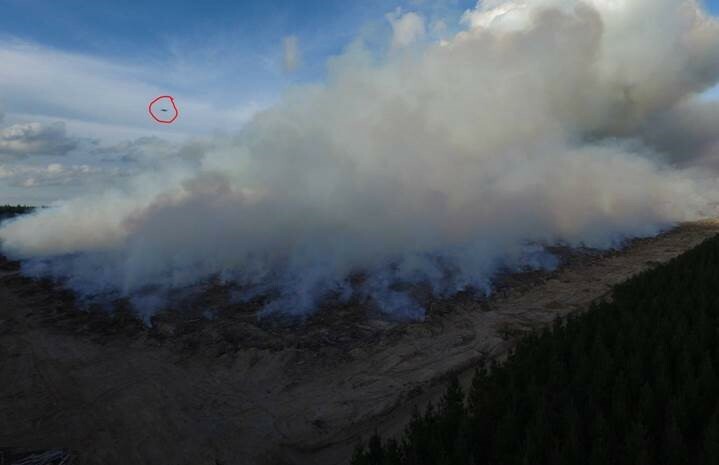 The photo on the left shows the UAV sitting on the ground looking out across the fire front (we are on ground while Helicopter is also working this fire front). 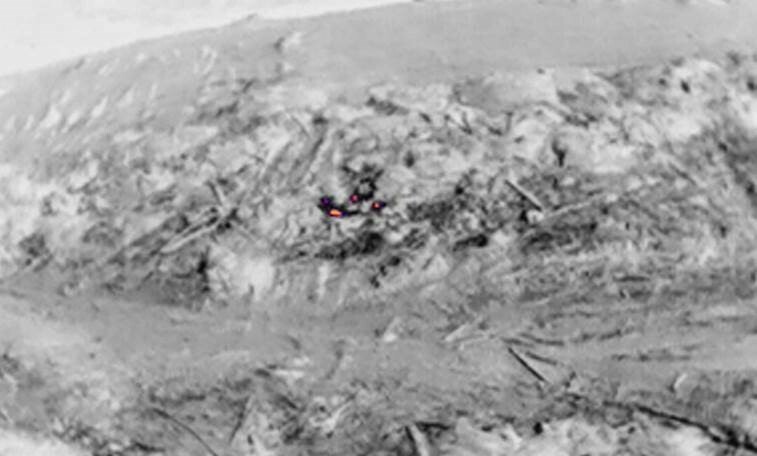 The image to the right is that taken from the UAV while looking from this ground position. The ability to see what the fire is doing, through the smoke is a real advantage in managing ground operations. 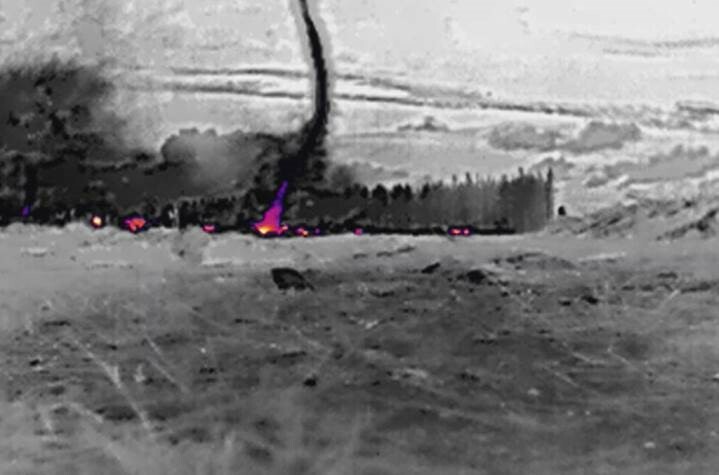 Here is another example of a fire created whirlwind moving across the fire front. Now placing the UAV into the sky provides this unique view at any time throughout the fire operations. 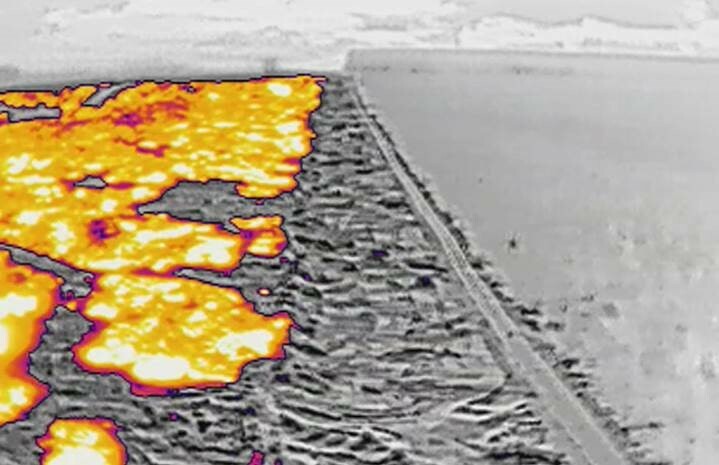 Here is a view of our UAV fitted with thermal infrared camera being up above the fire (this is taken by our other UAV!). Here is what that UAV was seeing in the next photo. Looking up the right hand flank of the fire, through the smoke you can clearly see the fire extent. Then looking to the left flank of the fire (showing here the tall tree stand on the edge of the fire). The UAV can easily monitor through the cloud of smoke any spread or fire spotting outside the area of the controlled burn. All of this is live to the pilot and the incident controller onsite directing operations. Monitoring the fire in this way, the UAV was setup to perform patrols of the risk areas. Here the next image shows monitoring the main fire front. The “red line” shows the full height radiata pine stands (~45m in height) to give some perspective. 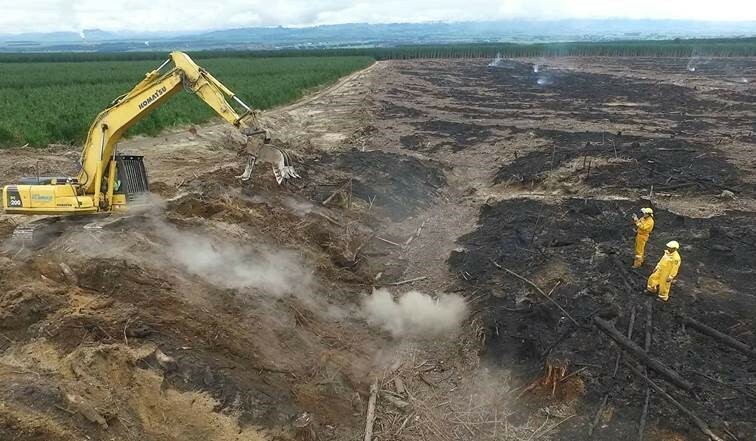 After the main fire is out, there is the task of eliminating hotpots through the area to ensure the fire is out and does not cause any risk to the surrounding forest. Here the UAV locates the “hotspots” with ease and targets ground operations to focus on areas of concern. Some hot spots are extremely difficult even for ground staff to identify and in the next image you can see a range of small “vents” of heat coming from a dirt bank. But on investigation this area had deep seated underground hotpots. We also deployed the use of low cost smartphone FLIR thermal cameras. These next images shown the use of these in directing ground staff in eliminating these risk areas. 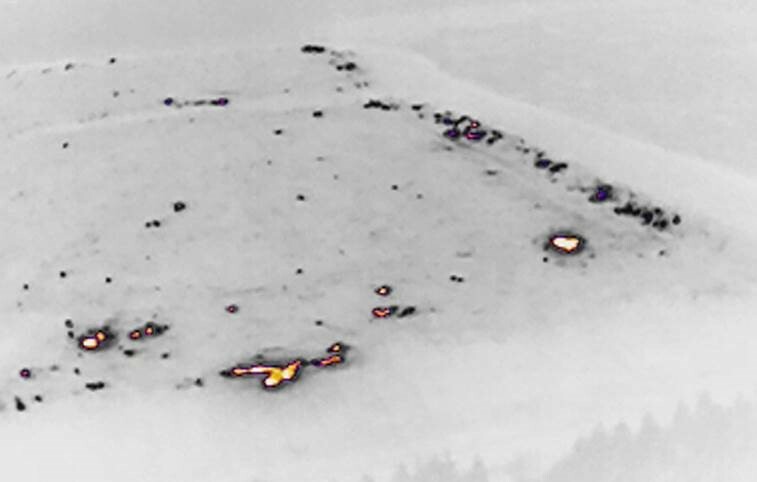 And finally here is another example of small hot spots identified by the UAV. 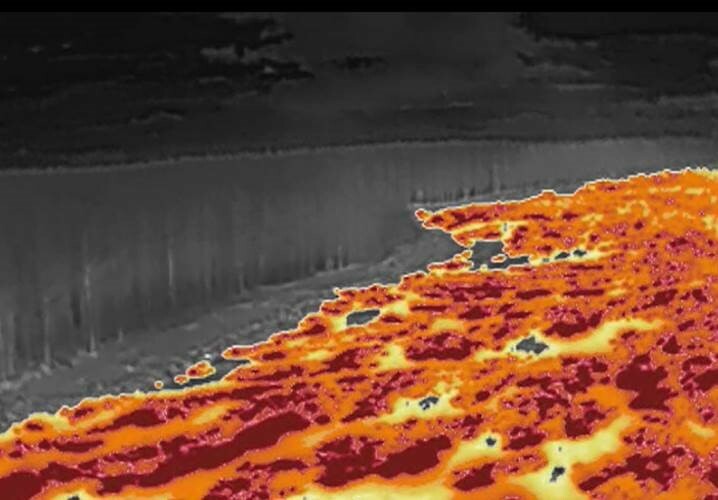 Here our thermographer can tweak the temperature settings to highlight in the scene only a range of temperatures which allow hot spots to be easily indentified from the UAV. If you would like to find out more about our UAV services and our thermal sensors, then feel free to contact us.